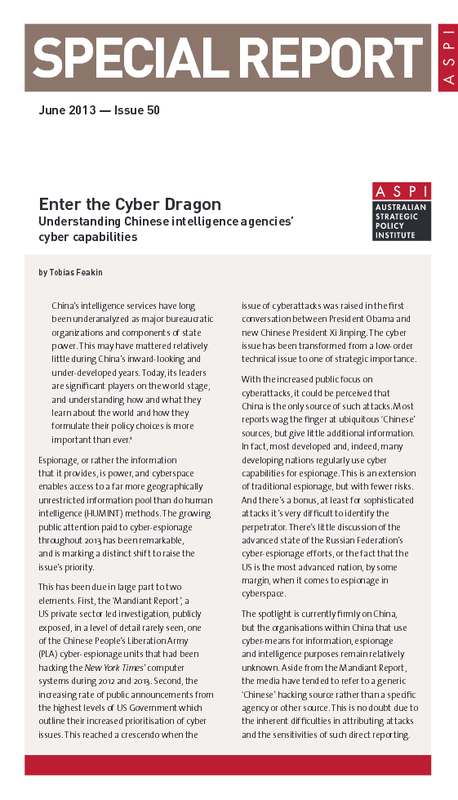 China’s intelligence services and Chinese Military Cyber Capabilities have long been underanalyzed as major bureaucratic organizations and components of state power. This may have mattered relatively little during China’s inward‑looking and under‑developed years. Today, its leaders are significant players on the world stage, and understanding how and what they learn about the world and how they formulate their policy choices is more important than ever. throughout 2013 has been remarkable, and is marking a distinct shift to raise the issue’s priority. 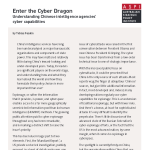 Posted in Asia Pacific, Defence, Global, Information and tagged China, cyber capabilities, cyber-espionage, cyberspace, espionage, intelligence agency, military, Security, significant player, world stage.